Resource Links to sites that provide help on environmental issues and sustainable living are identified below. Mr. Rooter's Water W​aste Calculator is a water conservation tool that help individuals calculate how many liters of water faucet leaks waste per day and the resulting cost. Underwriters Laboratories subsidiary: www.goodguide.com A guide measuring over 250,000 products. Use the button above to donate via a secure PayPal link. ​Make checks payable to the Overhead Project, Inc./EESP Partnership. 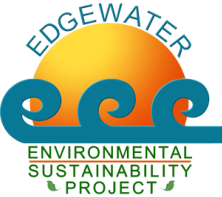 Mailing address: Edgewater Environmental Sustainability Project; Unit 1E; 1516 W. Thorndale Ave; Chicago, IL 60660. ​*Check with your accountant if you have any questions. Educational presentations & speakers on sustainable issues.